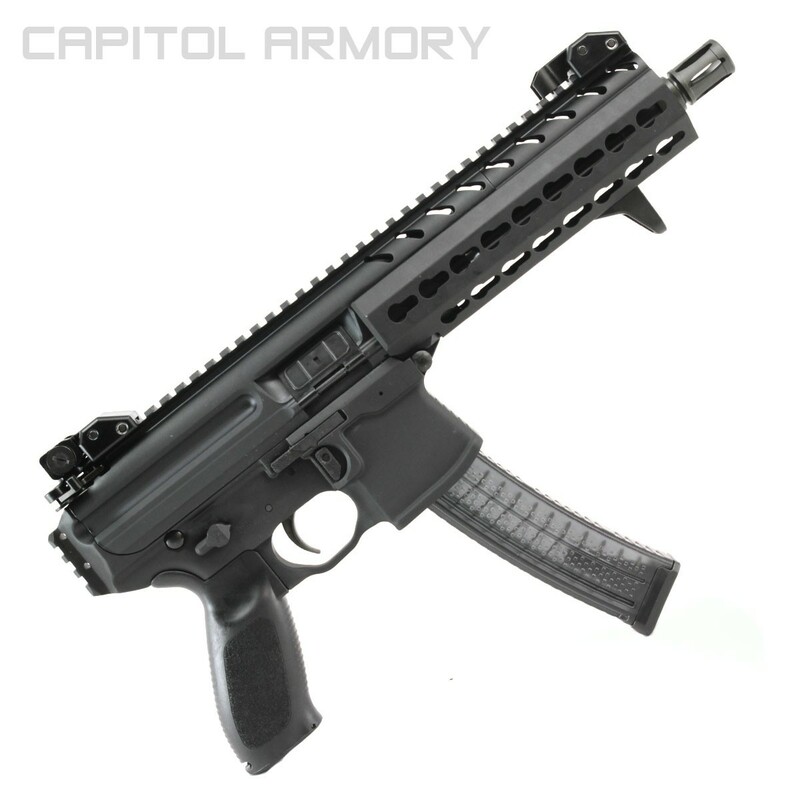 The highly anticipated Sig Sauer MPX-P is here at last. It features a fully closed and locked rotating bolt, and allows the operator to make quick barrel changes. The pistol version, chambered in 9mm with a 8" barrel, ships with one 30 round magazine. 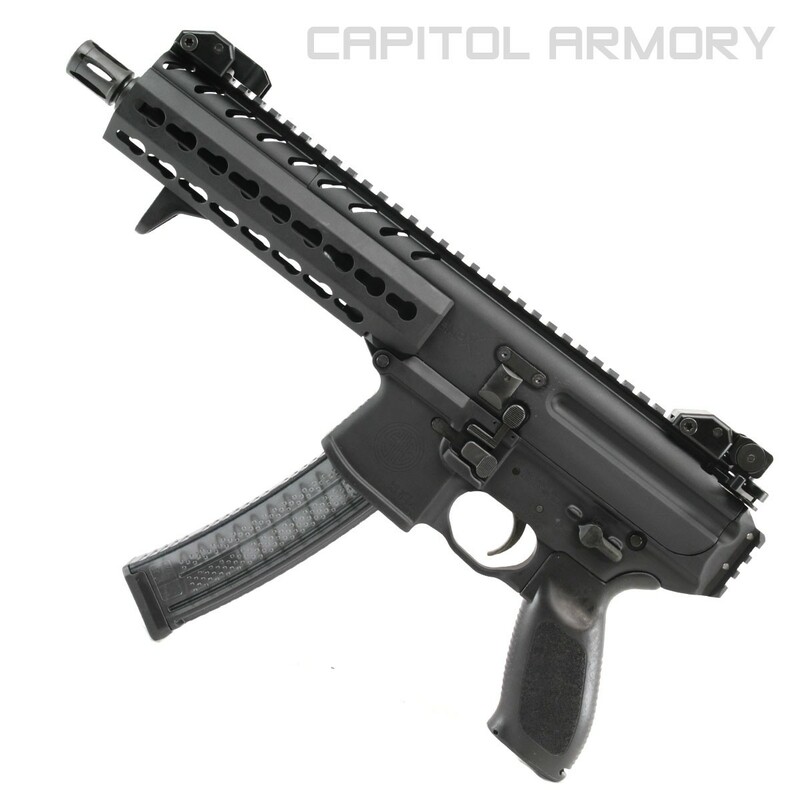 These are the new Generation 2 MPX pistols and come with a KeyMod Handguard. Does the pistol version come with the needed mount to attach a stock/folding stock? Yes. There is a picatinny rail attachment that is built-in to the lower receiver. The sig stocks attach to that rail.